Healthy Hot Tubs cover Derby and the Derbyshire area. Did you know Healthy Hot Tubs have a local engineer that covers hot tub repairs in Derby and Derbyshire? Well we do. Below are just a few fine examples of work we have carried out in the area. 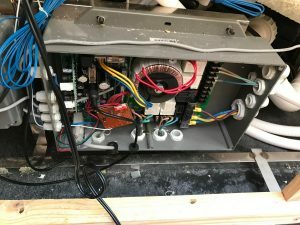 One of our great customers reported a problem with their Tubs 2 U Americano hot tub not working correctly. It was turning pumps on and off intermittently. 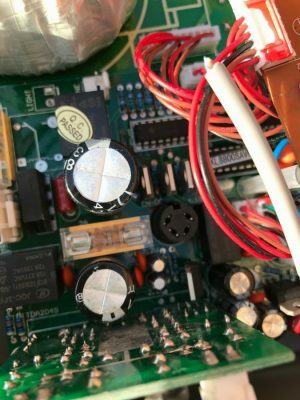 On inspection our Derby hot tub repair engineer discovered the PCB (brains of the hot tub) to be faulty. 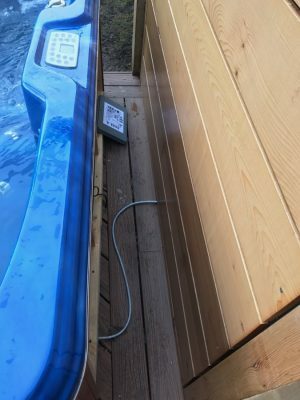 Firstly the hot tub had a Chinese system in place which can be pretty hard to get hold of see our post on Hot tub system upgrades and Chinese conversions. Luckily our Derbyshire hot tub repair engineer had the right part on the van and was able to fix the tub with a little rewiring. As you can see the space to do so was quite tight. Overall a good job leaving another grateful and satisfied customer. 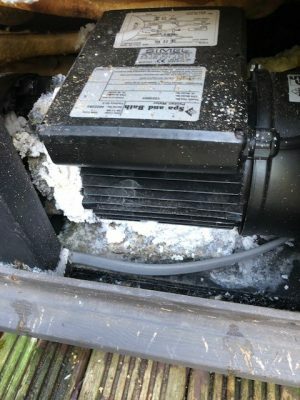 A new customer called us advising their hot tub was not heating up to temperature. After asking our usual questions over the phone to see if there was a quick repair the customer could do themselves, it was decided a call out was needed. On arrival we could see the hot tub circulation was low. The water in the tub was also not clean. Firstly our engineer tested to see if the circulation pump was running; it was. We found the issue to be the filters. Even though the filters were new. 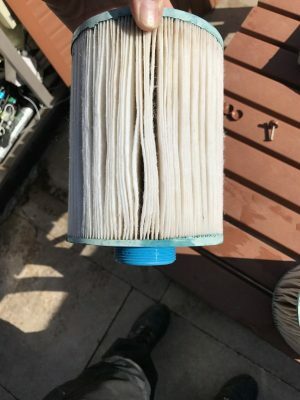 The filters purchased where cheap and unfortunately in this case it was like putting a plug in and killing the circulation. Additionally this was making the pump work overtime, heating it up and costing the customer more to try to run. We supplied two new quality filters tested the hot tub, which was working fine and left another happy customer. As you can see from the furring this pump had been leaking a while. When inspecting your hot tub a sure sign of a water problem is furring like this. Importantly if you call an engineer straight away it may be the difference between needing a new pump, or just a wet end or seal. lastly on this occasion the pump was changed leaving another happy customer. 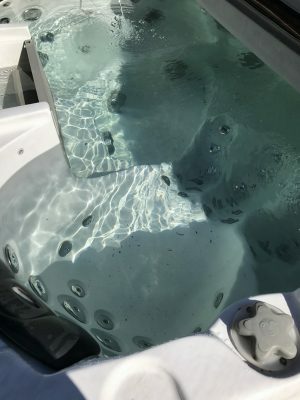 Healthy Hot Tubs cover the whole of Derbyshire for hot tub repairs and servicing including Derby, Chesterfield, Long Eaton, Ilkeston, Swadlincote, Belpher, Buxton, Ripley and Bolsover to name just a few.